For two- to three-week trips, I find it handy to block calendars and book flights about three months in advance. Then I spend the next couple of months reading, getting excited, and planning the itinerary one city at a time. 3. Who do you travel with? My husband, Jeff, plus a friend or two in some cases. 4. What has surprised you about travel in Spain? I was pleasantly surprised at the modern efficiency of Spain’s international airports in Madrid and Barcelona, as well as the impressive AVE high-speed train network. 5. 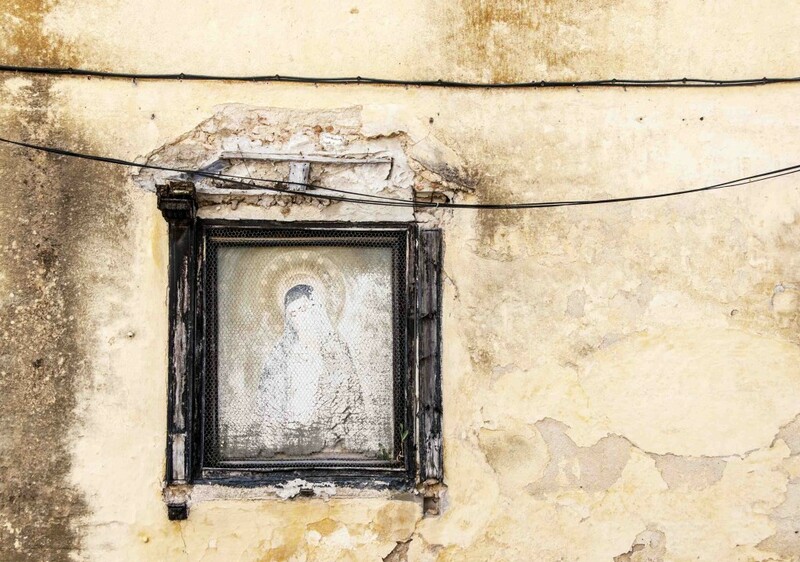 What do you know now that you wish you knew before your first trip to Spain? The Spanish lifestyle is unlike anything I had experienced anywhere else in Europe. I loved it, but be prepared to shift your day to accommodate mid-afternoon closures, late dinners, and very late bar openings. I will never forget my first night in Spain. We sat outdoors and ate simple-yet-delicious tapas, washing down each dish with a cold beer. We would repeat this meal pattern nearly every evening that followed. I cannot imagine a better time of year to visit southern Spain than late May through early June. The days are long. The heat isn’t as oppressive as it is in high summer. And the crowds are manageable. Spain is perfect for the gay traveler. Vibrant colors and flamenco dancers. Shops filled with centuries-old artisan crafts. Cold beer and cocktails on every plaza. Its such an easy country to love. 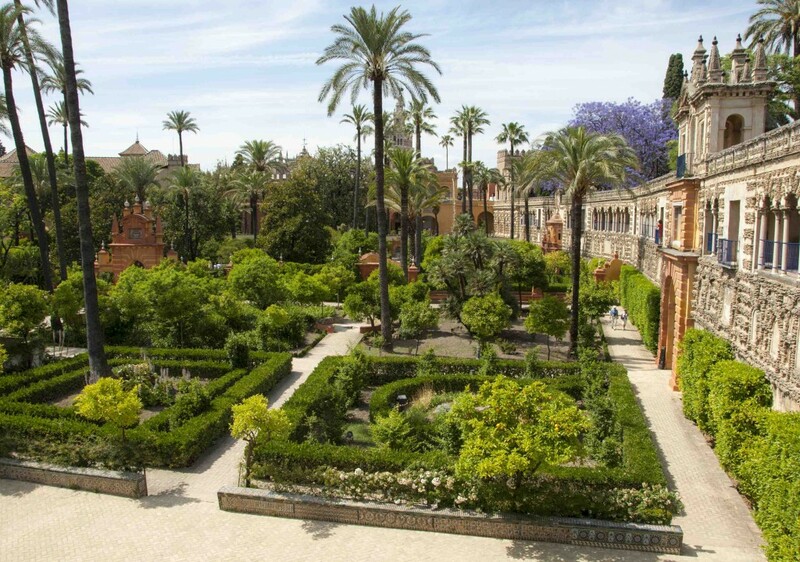 Seville: The walled gardens of the Real Alcázar are lush and full of life. The air carries the sweet scent of hundreds of citrus blossoms, the pungent bite of scattered fallen oranges, and the hint of freshly watered soil. 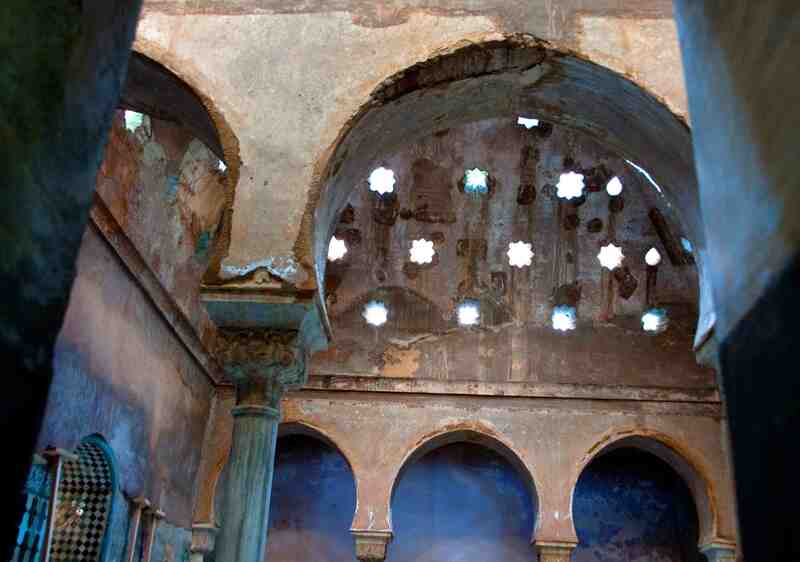 Granada: Within the grounds of the magnificent Alhambra, the remains of a Moorish bath evoke a quiet calm. 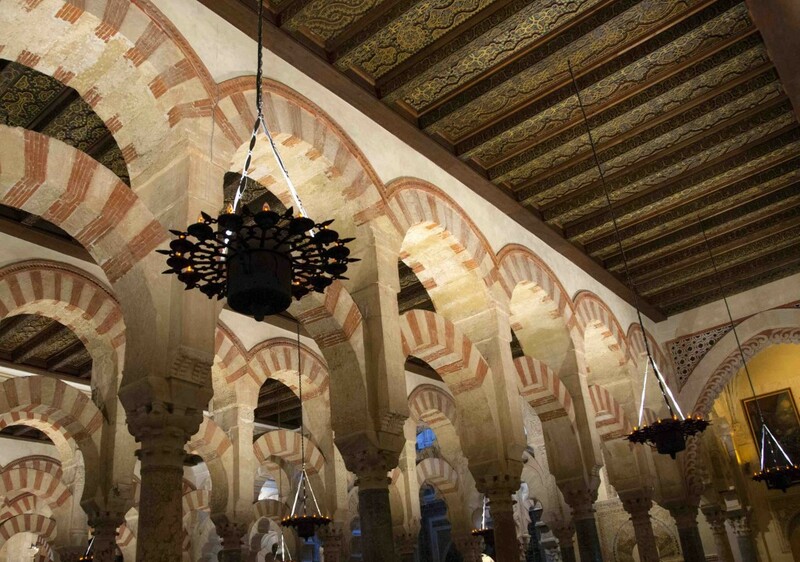 Córdoba: Córdoba’s crown jewel is the Mezquita. Hundreds of marble columns interconnected by red and white double-arches lead your eyes onward to infinity.